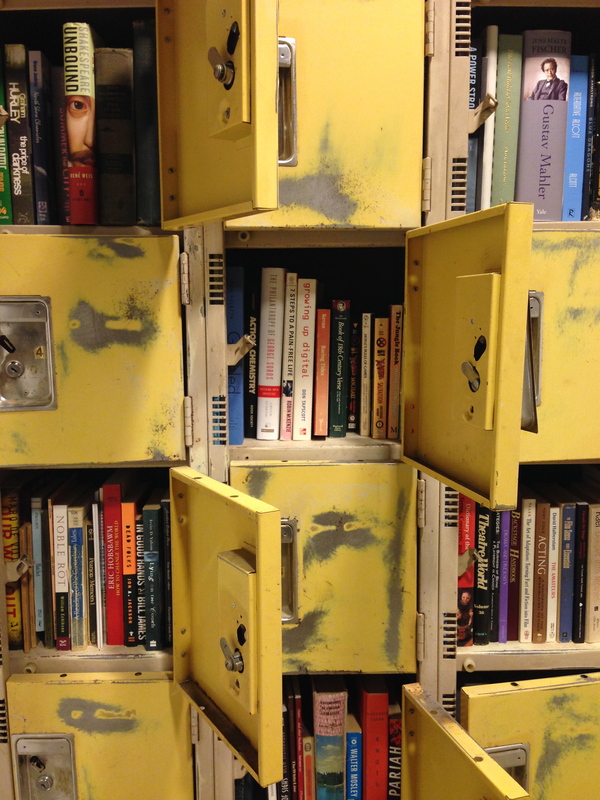 Did you know that we have a yellow locker full of books that could use some love? Have you ever noticed the sign on the brick wall of the hallway off the Theatre Centre cafe/bar? In honour of our history as a Carnegie library (check out our blog post about the history of our building), our locker is officially joining the Little Free Library movement. Walking around the city, you might have noticed little tiny birdhouse-like structures where you can take, borrow, and leave books behind. This movement is based on the Carnegie model (isn’t that awesome); and free libraries can be found throughout the city. You can check out this map of places in the city and throughout North America that host little free libraries. A library’s role as a public space is provides access and space for individuals and communities to gather and learn. This is similar to our mandate as a meeting-place for people in the Parkdale community and Toronto. The history of the building is extremely important to us and as a cultural centre, we embody many similar values to the library that this building used to be. Come by and feel free to peruse the shelves. Free free to sit in our cafe and read a book. If you take a book, we ask that you please leave a book (if you can!). Karthy is interning with The Theatre Centre through the material culture program at the University of Toronto. She is a theatre designer and director and intends to pursue a career in professional theatre.